It’s hard to argue against replacing modern processed foods with whole foods from nature. But critics argue that the Paleo Diet may be too restrictive, putting strict followers at risk of nutritional deficiencies and proving to be unrealistic to follow for the average American. The Paleo Diet follows principles of nutrition. The criticism largely surrounds the diet’s restriction of grains and dairy, the former of which is one of the key reasons why Paleo eating is far healthier than the average American diet. Another oft-cited criticism of the Paleo Diet is minimal research supporting its benefits, although there are clinical trials (albeit small ones) supporting its use. For instance, a study by researchers from the University of California had out-of-shape volunteers eat a Paleo Diet for two weeks. In that time, their blood pressure levels decreased, as did their levels of cholesterol, by an average of 30 points, which the researchers compared to “the type of drop you get by taking statins for six months.” Their levels of triglycerides also improved. Finally, U.S. News’ ranking suggests that the Paleo Diet is unrealistic because the panelists didn’t believe it was possible to find the appropriate foods in the modern era. Nothing could be further from the truth, because food selection today is no longer dictated by your environment as it was so long ago, but rather by your choices at the supermarket or, better, the farmer’s market. While you wouldn’t be able to find many of the wild varieties of plant foods eaten by cavemen even if you wanted to, because modern agriculture has largely taken over the food supply and tweaked and shrunk it to where only a few varieties of wheat, corn, and other plant foods are left, you can certainly mold your diet around the principles of Paleo eating rather simply just by tweaking the way you shop. 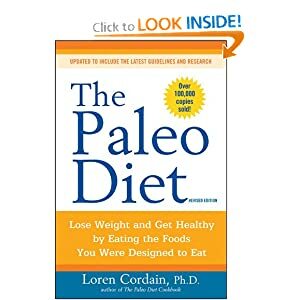 ← The Paleolithic Diet: What Is It?